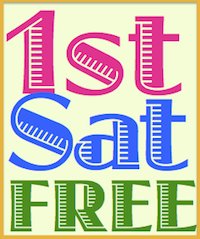 California Genealogical Society and Library blog: Reunited After Fifty Years! By now regular readers of the CGSL blog might think you just have to show up at a CGS event to find a cousin. It turns out you can also be reunited with old friends. One of the attendees sitting across from me during lunch at the recent Scots-Irish Seminar was CGS member Beverly Clark who told me that one of the event organizers was quizzing her about where she attended third grade. The inquisitive staffer was volunteer Shirley Hoye who stepped up and handled much of the logistics for the seminar with Helmi Waits, including scheduling private consultations with our speakers from Belfast, Brian Trainor and Fintan Mullen. Shirley was sure that Beverly must be her long-lost little friend from the Castro School in El Cerrito. Beverly Clark had dropped into her third grade class for one short year then disappeared as mysteriously as she had come. Third graders Beverly Clark (left) and Shirley Howe (right). Unfortunately, Beverly had moved around quite a bit during her early childhood and she wasn't sure where she had attended third grade. 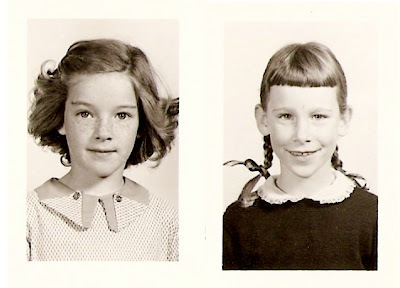 The women exchanged email addresses and Shirley went home and sorted through her childhood photos, scanned them and sent them off to Beverly. Shirley was right! 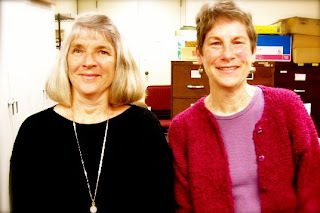 The two childhood friends have been reunited because of their shared interest in genealogy, their membership in the California Genealogical Society and their desire to hone their skills – the two were classmates again in the recent Intermediate Genealogy Series. at the Castro School in El Cerrito, California, 1954. Well, unlike Beverly, my family only moved once and that was just up the hill. I ended up going to school in Berkeley and San Francisco and finally landed in Oakland, where I've lived ever since. I really got into genealogy last year when a third cousin in England "found" me. She's done an incredible amount of research, to which I add bits and pieces. The funny thing about running into Beverly at the conference is that my family is not Scots-Irish, but from County Roscommon, with the name of Haughey. I still can't get over finding Beverly after all these years. Shirley and Beverly reunited after fifty years. Photographs courtesy of Shirley Hoye and Tim Cox. That's a really sweet story! It's always wonderful when people get re-connected, and involvement in the world of genealogy is a great way for that to happen.